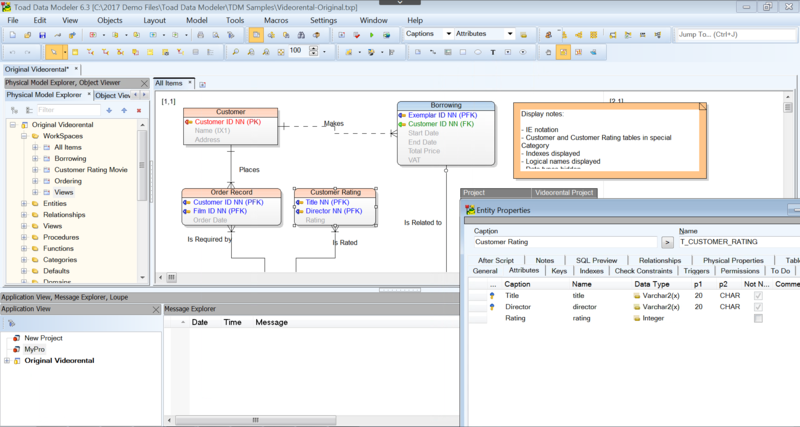 Visualize database structures and better understand existing databases and relationships. 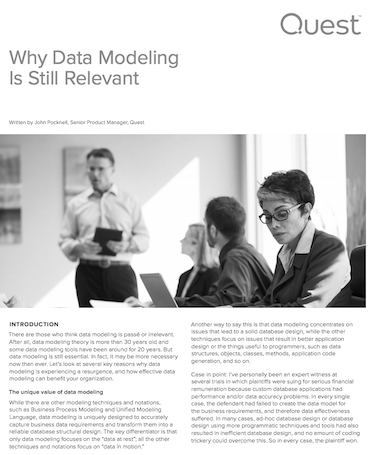 Create high-quality logical and physical data models. Reverse engineer existing database structures to view them in a diagram. Generate detailed HTML, RTF or PDF reports. Create quality database structures or make changes to existing models automatically, and provide documentation on multiple platforms. 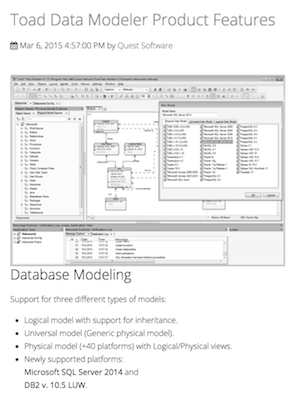 Build complex logical and physical entity relationship models, and easily reverse and forward engineer databases. 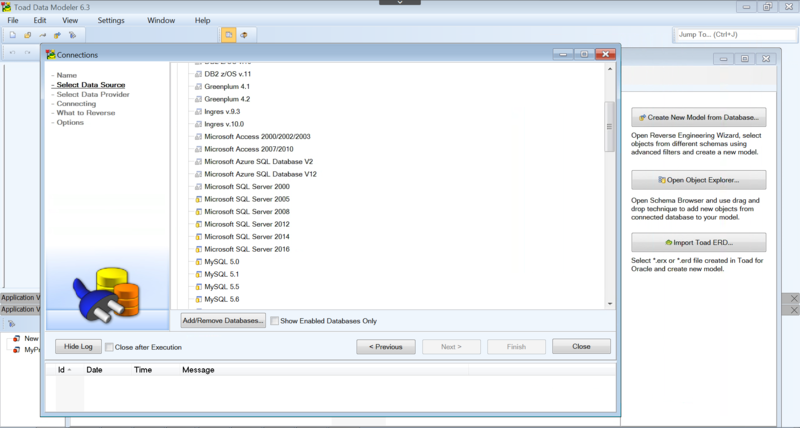 Connect multiple databases natively and simultaneously, including Oracle, SAP, MySQL, SQL Server, PostgreSQL, DB2, Ingres, and Microsoft Access. Synchronize models with existing databases using Change Script Generations and Update Model features. Easily convert data structures from one database platform to another to support business migration initiatives. Easily generate detailed hyperlinked reports on existing database structures in multiple formats like HTML and PDF. 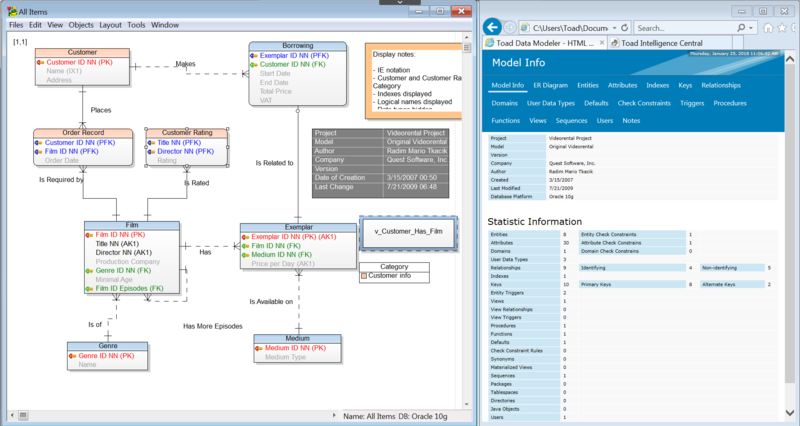 Add logical data to diagrams to customize models. Customize model behavior using advanced scripting and macros. Migrate data structures across database platforms as part of platform migration initiatives. Gain data access by creating project folders to store models, business requirements, specifications and other files. Collaborate data models by leveraging source control. 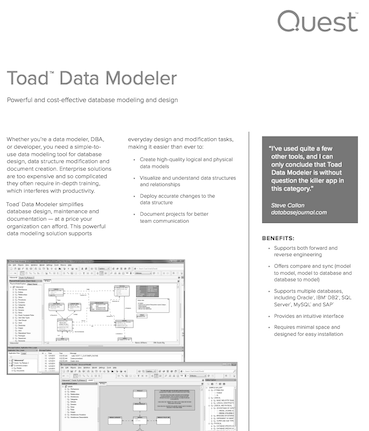 Toad Data Modeler’s video library includes helpful how-tos and product information to help you get the most out of Toad Data Modeler. The Toad World Forums is your place to ask and find answers to questions, and discuss Toad Data Modeler with other users, whether you're a new customer or an existing one.